Steven and Braden have just returned from Kugaaruk in the western region of Nunavut for their 16th community of 25 communities in this Arctic Hope Tour! 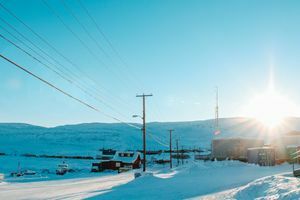 Hope is rising in Nunavut, and we are even closer now to our goal of 25 communities being touched by hope and healing! 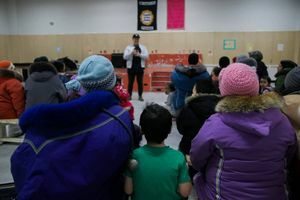 In May of 2017, the Lord spoke to Steven and gave him the mandate of travelling to every community in Nunavut that has a high school and sharing his testimony of God's healing touch! The Arctic Hope Tour has touched 16 communities now, and we feel to complete this race with more even more passion and fire! The Arctic Hope Tour ministered at the Roman Catholic church and had six young people invite Jesus into their hearts on Saturday evening!